Pineland Farms is located in New Gloucester, Maine where we first began making cheese. The dairy cows at Pineland Farms comprise one of the oldest registered Holstein herds in the United States. (A “registered” cow means that the animal’s parentage is known and is certified by the United States Holstein Association). These cows were the inspiration to start making cheese in the first place and are now represented on our packaging. 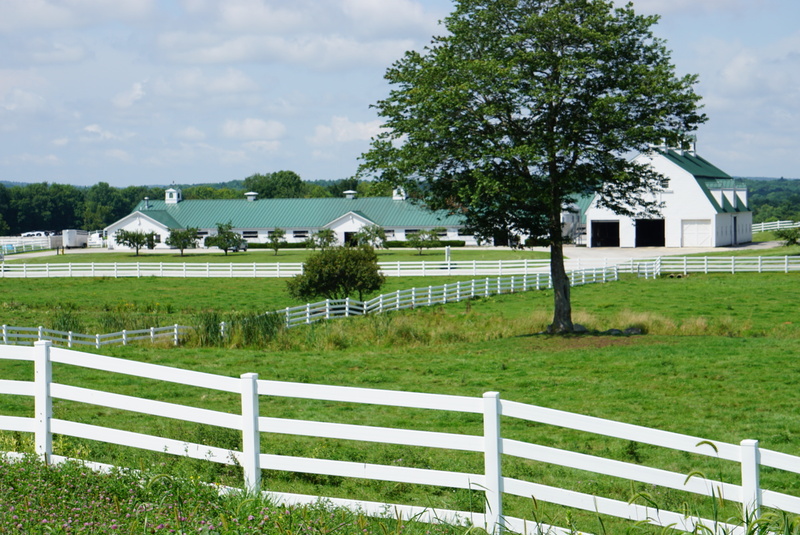 In addition to being a working dairy farm, Pineland Farms is a 5,000-acre diverse business campus and educational and recreational venue that welcomes visitors to enjoy its beautiful rural landscape. Stonyvale Farms is located in Exeter, Maine. The Fogler family milks 1,150 cows in partnership with 10 family members on their 1,600-acre operation, Stonyvale, Inc., a fifth-generation farm. Their farm houses Maine’s first anaerobic digester, installed in 2011, which produces enough electricity to power as many as 800 households and heat 300 New England homes. The farm is all no-till cropping. The family received the Maine Dairy Farm Family of the Year Award in 2008. The Hicks Dairy Farm was started in 1948, by George Elwell Hicks and Lillian Mae Hicks, who had four children. In 1986, the youngest son, Terry, took over the farm. Terry works on the farm with many members of his family, including his wife, Julie, daughter, Sarah, nephew, Robert Crawford Jr., step son, Eric Hanson, and Eric’s wife, Jasmin. In 2016, Hicks Dairy Farm was renamed G.E. Hicks Dairy Farm to honor the founding father. Members from G.E. Hicks Dairy Farm are active stewards of the community, involved in local promotional efforts in schools and welcome those who want to learn about dairy first hand to their farm. They currently milk 135 cows, two times a day, and care for more than 300 head on the farm in total – from calves to mature cows.